The HTC One (M8), the latest smartphone in the much sought after HTC family takes design, power and performance to the next level and offers amazing photo features and authentic sound. It is available at all Vodafone stores across Malta and Gozo for the amazing price of €699 and at exclusive discounts when taken with any of Vodafone’s RED plans. 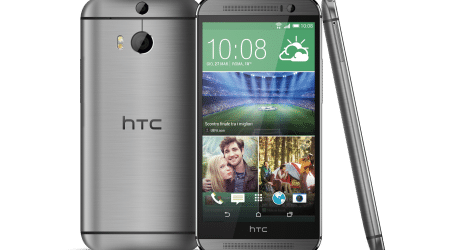 The HTC One (M8) comes in a bold, brushed metal design with a wrap-around unibody frame that is both durable and stylish and features a 5 inch Full HD 1080p screen. The camera is the next-generation in photo tools and can remove blurry results and takes bigger panoramic photos. The HTC One (M8) also features dual front-facing HTC BoomSound speakers that create an audio sound stage that is unbelievable, giving the user optimum sound for music, videos and games. It will keep users up to date through the HTC Blinkfeed, giving social posts, breaking news, sports update and more all in one place and gives complete TV control, allowing TV and phone integration at the touch of a button. The HTC One (M8) is available at Vodafone for the price of €699 or at a discounted rate if taken with any of the RED plans. For more information visit a Vodafone store, call 247 for free from a Vodafone line or 999 9247 from any other line or log onto www.vodafone.com.mt.